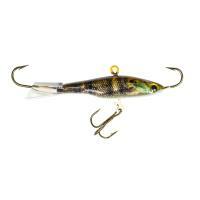 Let me be straight with you - the Lunkerhunt Straight Up Jig is the only jig you'll need for ice fishing. With incredibly lifelike finishes, the Straight Up Jig mimics baitfish better than any other vertical jig. 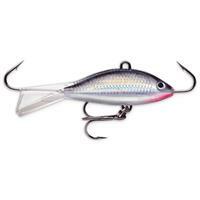 Equipped with hooks on both ends and a treble hook on the belly, the Straight Up Jig provides a positive hookset on the lightest nibble. 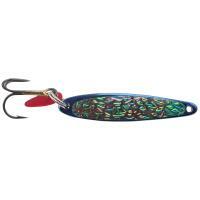 Let me be straight with you - the Lunkerhunt Straight Up Jig is the only jig you'll need for ice fishing this season. With incredibly lifelike finishes, the Lunkerhunt Straight Up Jig mimics baitfish better than any other vertical jig on the market. 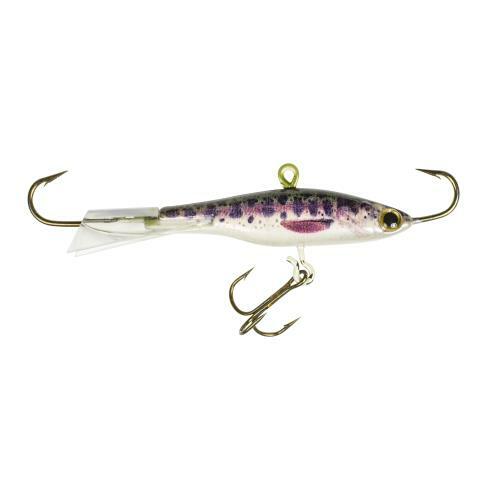 Equipped with hooks on both ends as well as a treble hook on the belly, the Lunkerhunt Straight Up Jig provides a positive hookset on even the lightest nibble. 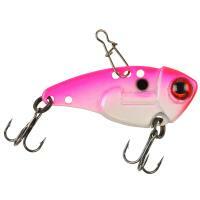 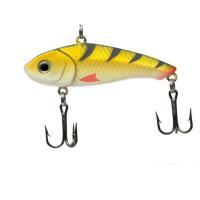 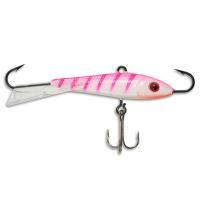 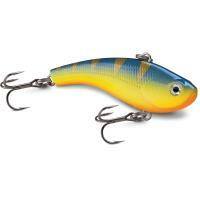 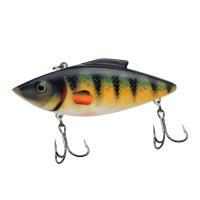 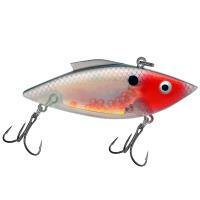 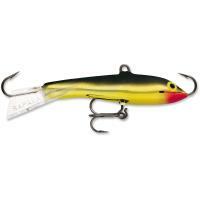 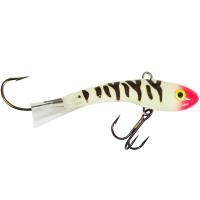 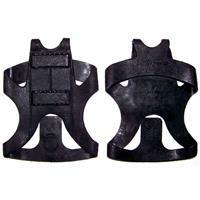 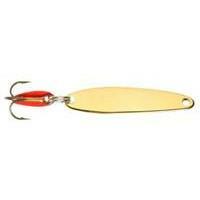 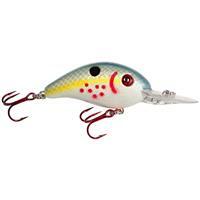 Work the Straight Up Jig aggressively to trigger reaction strikes or use a slow drop for a feeding strike. Engineered to glide down naturally, its movements resemble a struggling baitfish which is an easy meal for hungry fish. Typically used for ice fishing, The Lunkerhunt Straight Up Jig has become a secret weapon in open water fishing by bass and walleye anglers. 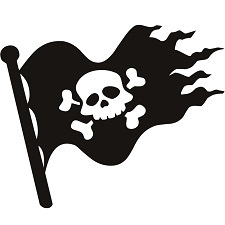 Comments: worked great for me. 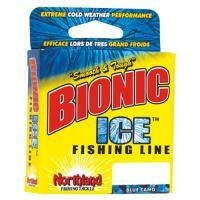 puts eyes on the ice!!! 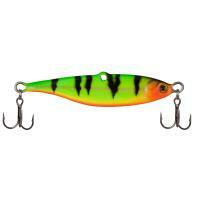 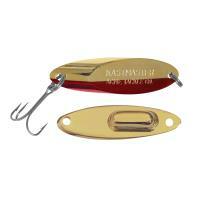 What are the weights of the Lunkerhunt Straight Up Jigs in 1 1/2 inch size, and 2 inch size? 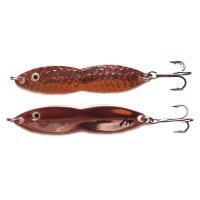 The 1.5" weighs 3/16 oz and the 2" weighs 1/2 oz.